Nerd Trivia at Brigantine Beer Parlor and Recreation Hall – Assemble your Fellowship! Fame, prizes, glory awaits you!!!! See you tonight, true believers! 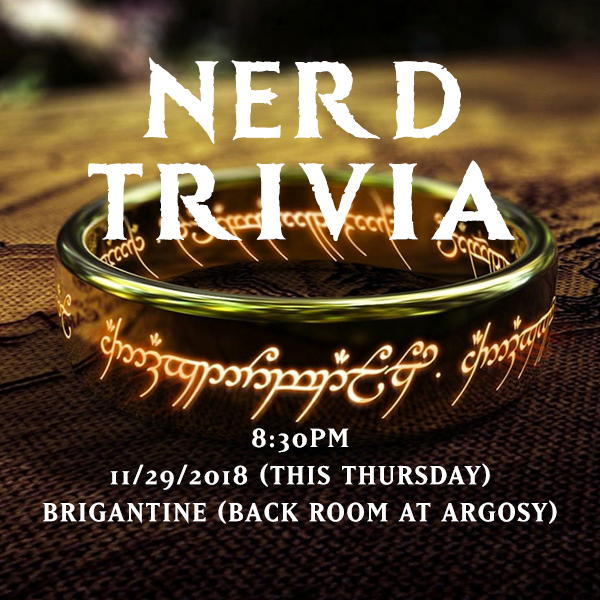 Nerd Trivia is THIS Thursday!!! Title says it all! 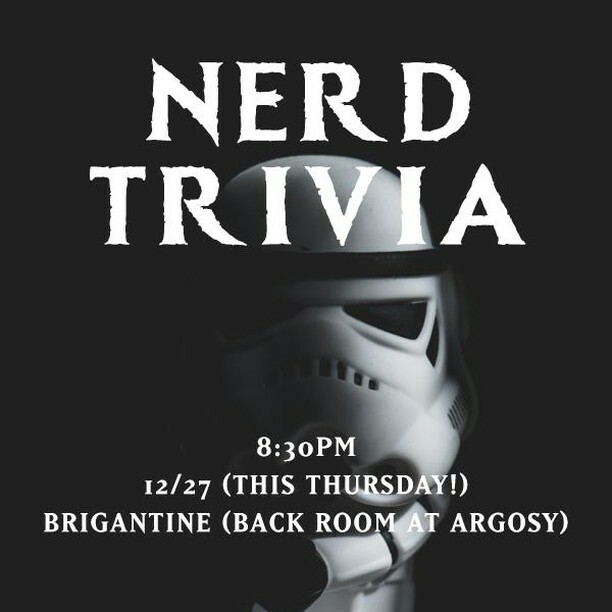 Assemble your Fellowship and come strive for ultimate victory over the forces of evil (aka the other teams)!! !